Find out why Chinaplas is focusing on smart manufacturing, innovative materials and green solutions this year. The market for medical devices, in particular, implantable, is expanding rapidly as economies develop, populations get older, health awareness enhances and support policies strengthen. According to data compiled by a Chinese research network, ChinaIRN.com, the size of China's current medical equipment market has exceeded RMB 100 billion, with an average annual growth rate of about 23%, and there is a great potential for a further boom. It becomes a major focus for medical device manufacturers to search for medical-grade high-tech materials in light of such rapid growth. With “Smart Manufacturing”, “Innovative Materials”, “Green Solutions” being the show focuses, Chinaplas 2018 is facilitating the formation of new trends - safety, precision, and smart manufacturing - in the medical industry, introducing high standard materials and advanced technology to the industry. 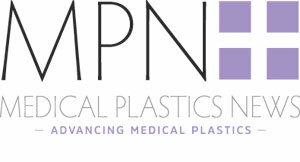 Among the medical polymer materials available, plastics have the advantages of being light, tough, strongly anti-permeable, transparent and easy to mould. Compared with other raw materials such as cermets, plastics have lower costs and are safer, contributing to its increasingly extensive application. From pharmaceutical packaging to disposable medical equipment such as syringes, tubes, infusion sets and surgical instruments, plastics become ubiquitous. High-tech medical plastics is surely going to have significantly greater market shares and influence as demand in 2018 is expected to reach 6,411,700 tons. Chi Mei Corporation has developed a number of high-quality plastics for the manufacturing of medical devices over the years. Besides the existing materials applied to non-invasive medical devices, recently Chi Mei Corporation has successfully developed even higher-quality materials with more consistent quality and better safety for use in invasive devices. The development of Wonderlite PC-115P is now complete. It has been verified by ISO 10993 biocompatibility testing and is suitable for sterilisation using ethylene oxide (EO), gamma radiation, and E-beam. This chlorine-free, high-flowability polycarbonate is ideally suited for applications such as dialysers and infusion parts. Visitors will see this exhibit at Chinaplas 2018. TSRC Corporation announces the development of medical SEBS polymers, including Vector DP-8101 and Vector DP-8227. DP-8101 is a SEBS with median-to-high styrene content and median-to-high Mw SEBS. It passed the test for cytotoxicity and complies with GMP production. DP-8101 is suitable for general plastic modification of articles for medical application. DP-8227 is a high vinyl SEBS with median Mw and with low styrene content. It has excellent miscibility with polyolefins and can make highly transparent and much softer articles including film for medical applications. ViviOn is a family of novel Cyclic Block Copolymers (CBCs), to be displayed by USI Corporation, are fully hydrogenated polymers. The flexibility of tailoring polymer micro-structure provides this advanced material a wide range of properties from rigid plastics to soft elastomers. According to its remarkable features, such as superb purity, extra-high transparency, high UV transmittance and durability, great chemical resistance, low auto-fluorescence, gamma sterilisation applicable, enhanced thermo-oxidation stability, low moisture uptake, low specific gravity(0.94 g/cm³), and exceptional processability, etc. ViviOn can be used in optical, medical, bio-diagnostics, food packaging/infant care, and deep ultraviolet (UVC) applications. The market is constantly posts new demands to medical field, such as greater product accuracy, improved core technologies, enhanced safety, higher intelligence and improved integrated innovation capabilities and manufacturing levels. Accordingly, the advancement of technology in upstream industries directly affects the technological trend of medical devices. Engel Machinery will launch a complete production system for manufacturing pipettes. It is a fully automated production system to manufacture pipette tips consisting of injection moulding machine, mould with 32 cavities and automation to take the pipettes out and place into pipette trays. Capacity of the production cell is more than 15,000 pipettes per hour. Main advantages of the system are clean production which is absolutely necessary for manufacturing of medical products, highest precision guaranteeing best product quality and high energy efficiency. Medical technology requires great reliability. Haitian International Holdings Limited will bring a medical consumables clean, efficient production technology to Chinaplas 2018. ZHAFIR flexible clean room concepts meet the challenging requirements in terms of precision and cleanliness. From valves to syringe barrels, Haitian finds the right injection moulding solution for any medical application, especially for products that require a sterile environment, the high production efficiency of our solutions can bring good economic benefits. The new Elektron, built by Milacron China, offers the advantages of all-electric injection moulding technology with higher productivity and reduced power consumption in comparison to hydraulic machines. Innovation driven designs and the extensive engineering experience of Ferromatik Milacron ensure maximum uptime with economical operation. The Elektron is designed for a full range of standard applications and offers outstanding value to manufactures.